Switching your phone line rental to us is easy and you can keep your existing phone number and services. Our standard line rental is just �12.50 per month, compared to BT's �18.99. 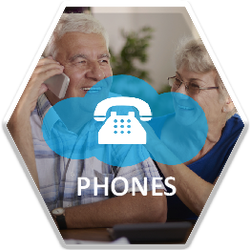 What's more you will benefit from low cost phone calls saving you even more money. When you switch to us your phone line will be on the BT Openreach network and will be covered by BT Openreach in the event of any faults - switching is seamless and you can keep your existing number and line features, you simply pay less. CloudScape Connect is pleased to be supporting LOROS and Wishes 4 Kids, click here to find out more about our work with these charities. Depending on your location we can supply Fibre to the Cabinet (FTTC) and Fibre to the Premises (FTTP) broadband services. As we work with Openreach, Vodafone and several rural fibre networks we are able to provide fibre into areas other providers can't reach. All our fibre products utilise our state of the art network which provides 1:1 contention with no speed throttling or packet shaping so you get 100% of the speed 100% of the time. 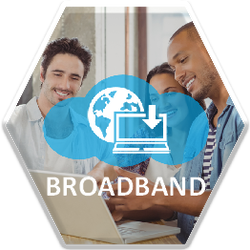 Our fibre products start from just �20.00 per month (FTTC products require a working phone line, you can keep your phone line with your current supplier or you can switch it to us for �12.50 per month). If you don't need the speeds offered by fibre or if fibre is not available why not take advantage of our great ADSL broadband for just �12.00 per month (ADSL broadband requires a working phone line, you can keep your phone line with your current supplier or you can switch it to us for �12.50 per month). "I found your company through online reviews, which were positive. Happy to report all is working very well, with a good speed for the internet. No down time so far. Thanks again for setting it up so quickly for my return to the UK." "Just to let you know that I have just connected with the new router / modem and like magic all went well...thanks ever so much as that is what we wanted...very easy and trouble free. The connection is fast and it will prove itself when I update my Mac. Again, thanks very much for being patient and for all you have done to make this a very smooth procedure. I am really pleased with Cloudscape!" "I'm happy to say that everything has been very positive in my experience with Cloudscape. I switched after a few painful years of Virgin Media... My connection is fast, I never experience slow downs... The only time I had a request, I sent an email quite late, around 10PM, when I woke up the following day I had two complete answers giving me every detail I needed. In short: congratulations and thanks for your service guys, I am a happy customer :)"
"Connection through Cloudscape is working very well right now. I will be recommending Cloudscape Connect." "The switchover went through seamlessly, and the service so far has been excellent, with a far more stable and consistent service than I was receiving from BT. 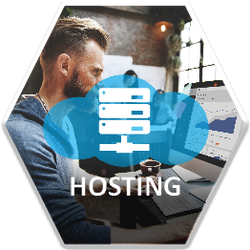 Your customer service has also been excellent and I won't hesitate to recommend Cloudscape to any of my friends who may be looking to change their provider!" "I have got my comp back - I was lost without it. Thanks to Kevin at Cloudscape!" "At the end of my first year with you, in spite of taking on the Windows 10 challenge, I can honestly say that the very occasional problems I experienced were almost immediately sorted for me by Kevin Peel, our local representative, who is always a pleasure to talk to. His infinite patience and understanding never cease to surprise me and always fix my problem, however caused." 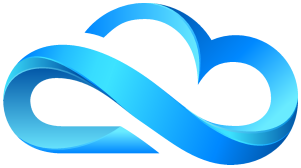 "The service we have received from CloudScape Connect has been excellent. Any problems have been remedied quickly and efficiently. How refreshing to be able to speak with someone when I call and the help desk are so easy to communicate with. I now have excellent broadband and always have a clear phone line. Thank you!"